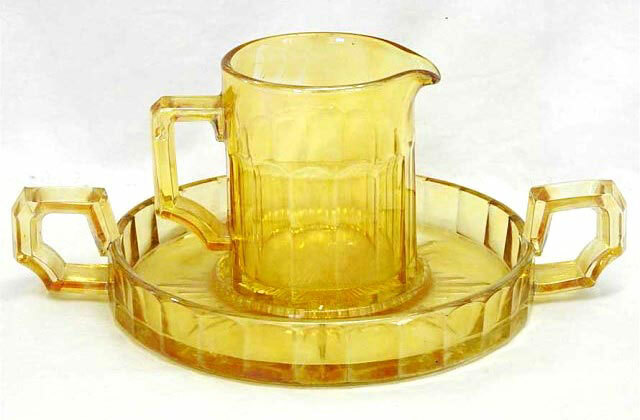 This unusual syrup and tray set sold in 2016. It's light marigold and brought $100. Said to be a Heisey product. Photo courtesy of Seeck Auctions.